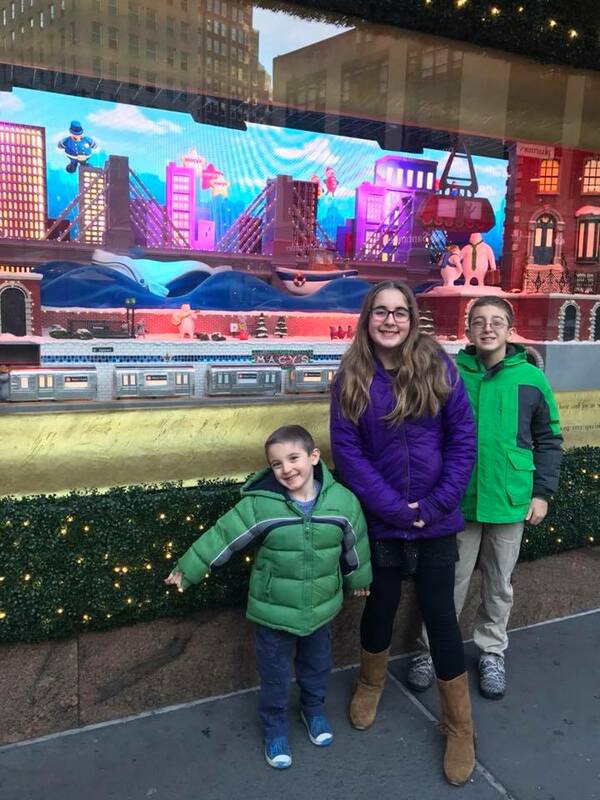 Over the weekend, my family decided to head into the city and see as much as we could in a 12-hour period. Can I just say that I was utterly exhausted by the time we came home? I stopped taking photos towards the tail end of it all. I mean, this post is missing a trip to Bryant Park and an Italian dinner. At one point, the blogging part of my body just gave in! We OWNED the city last Saturday. Truly. 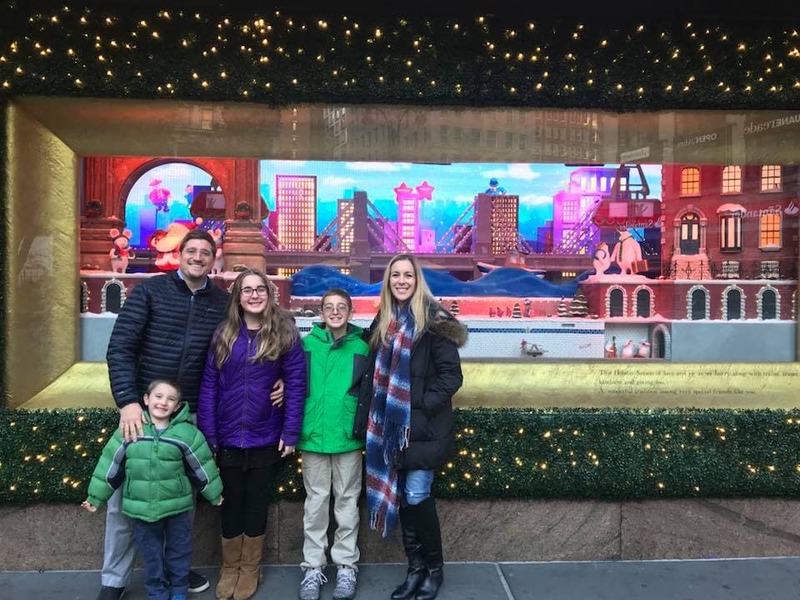 It all started with a visit to see Santa Claus at Macy’s on 34th street. My mother has about 12 or so photos from my childhood doing the same exact thing. I used to love going to Santaland for our annual trip! 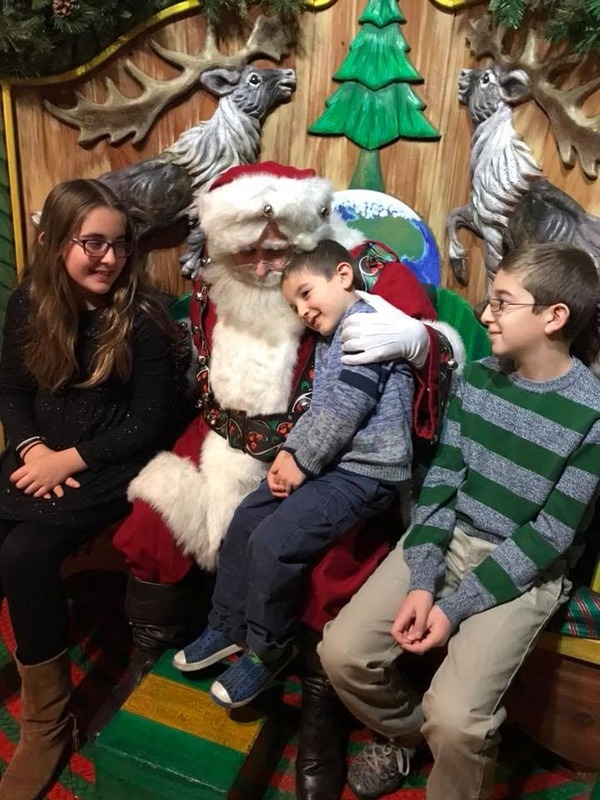 Back when I was growing up, there was a hairdresser on one of the lower floors in Macy’s and my cousin and I would get our hair cut before seeing the man with the white beard. It was such a great tradition! That’s why I continue to do it all with my three kids now that I am a mom of my own. This year, we actually used the Santaland reservation service online and it was GREAT. It gave us a 30-minute window and we didn’t have to worry about any long lines. We just walked right in! Truth be told, we were early enough that Santa spent a good five minutes chatting with the kids. He even asked Bill what he wanted for Christmas. No rush whatsoever! I loved that. Caleb kept hugging him – it was all too cute. After our appointment, we had three hours to kill. 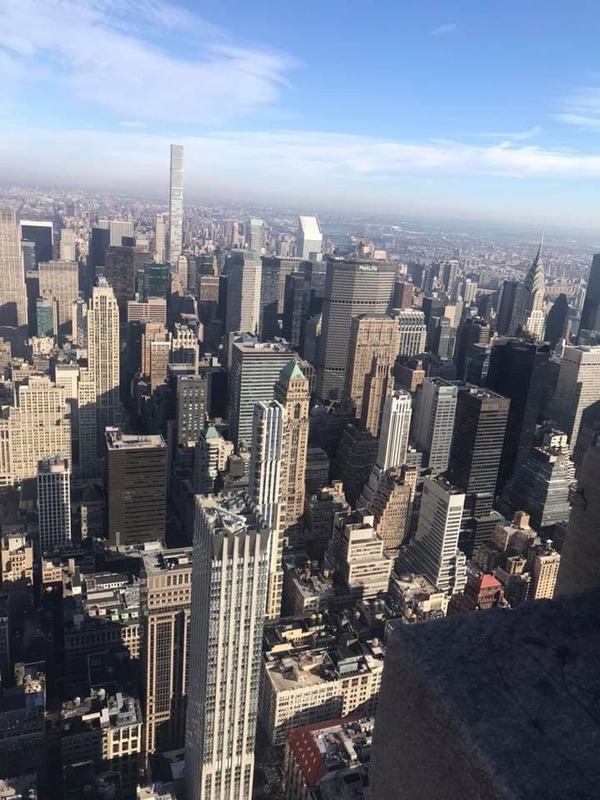 What to do in NYC with time on your hands? Um – anything!! 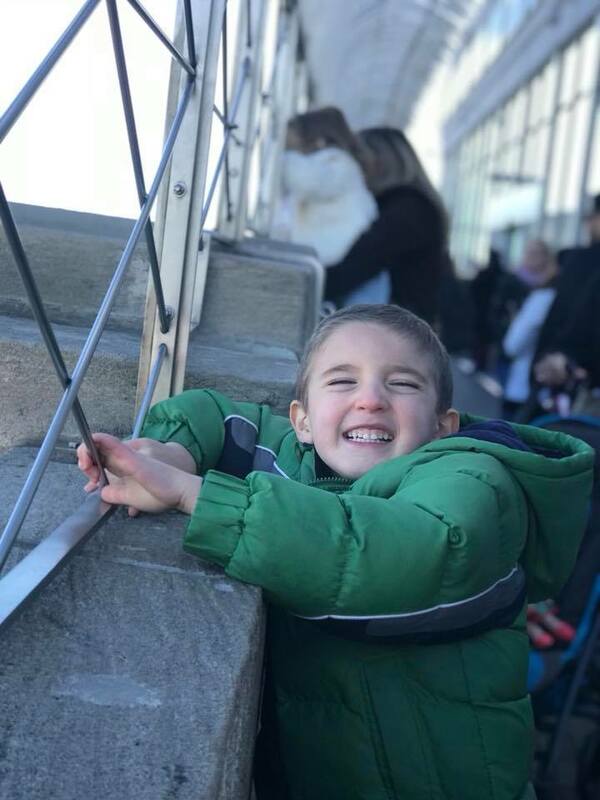 We took the kids to the Empire State Building for the very first time and they had a blast. By the way, I tried so hard to find some sort of coupon before entering in and could NOT. 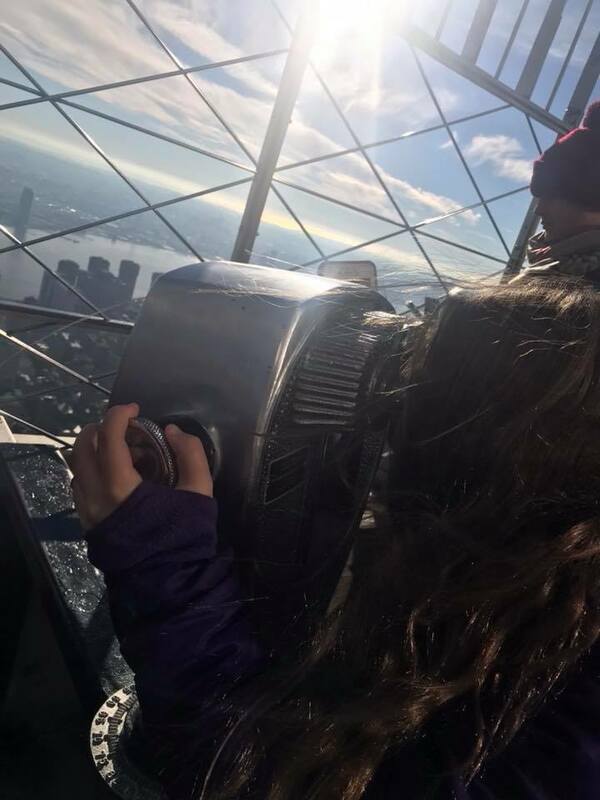 So, if you are planning to visit the Empire State Building, consider doing a NYC pass or something like that – where you can see multiple attractions all on the same day. 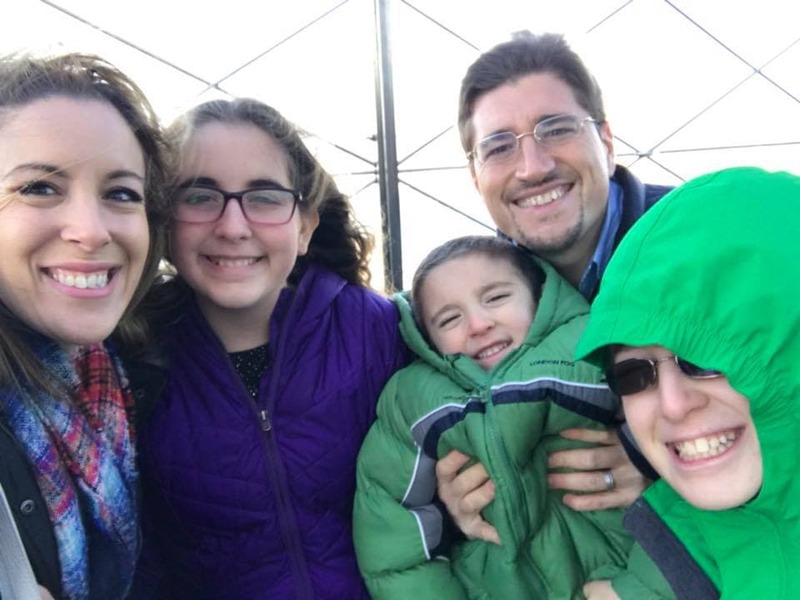 We didn’t have enough time to visit the Statue of Liberty, but if we had, the NYC pass would have been worth it. It was FREEZING – not going to lie. My hair turned out to be a ball of knots once we were done with the outside viewing section. But it was so worth it! The kids were amazed by the view. I haven’t been up since a child. 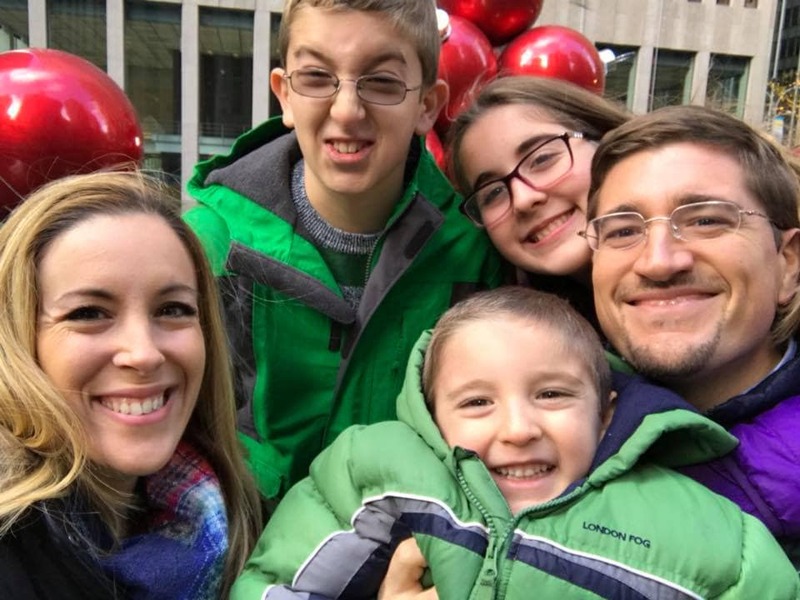 These viewers used to cost money but now they are free. BONUS! Kids were hopping from one location to the next to try to see as much as they could. 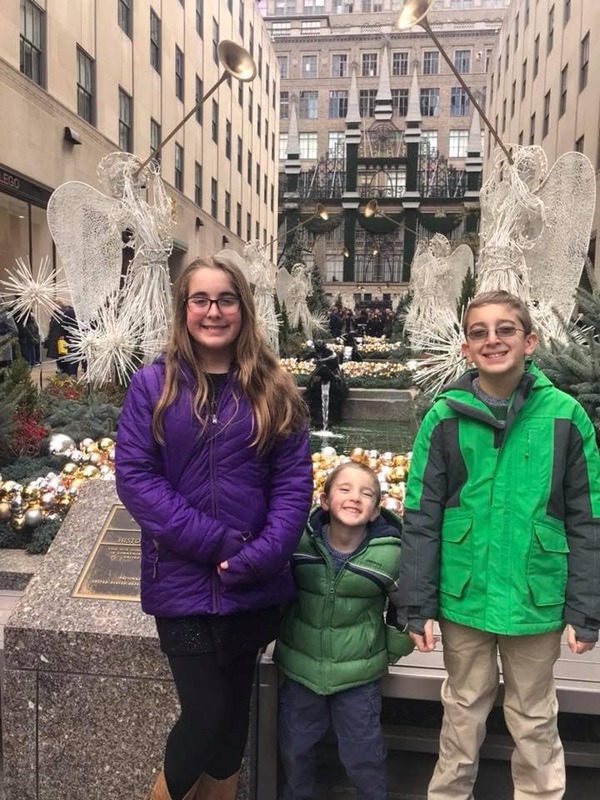 Then – it was off to Rockefeller Center. Not going to lie – we had a few meltdowns at this point. Kids were hungry and a bit tired. But we managed to get our shots before hitting up Bill’s Burger for lunch. We eat there every year. The fries are NOT included with your burger which STINKS, but the meals are SO GOOD that I don’t mind paying for something that SHOULD BE FREE. Anyway, that’s what happens when you go out to eat in the middle of tourist central. I mean, can you imagine that the fries aren’t included??? Blasphemy! 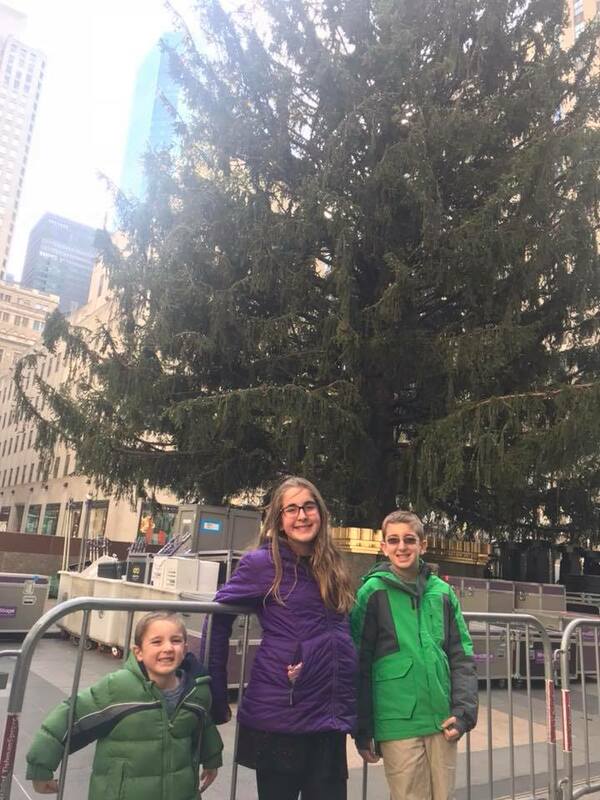 We were too early to see the tree lit, but it was still fun for the kids to see it in person. That tree is HUGE. 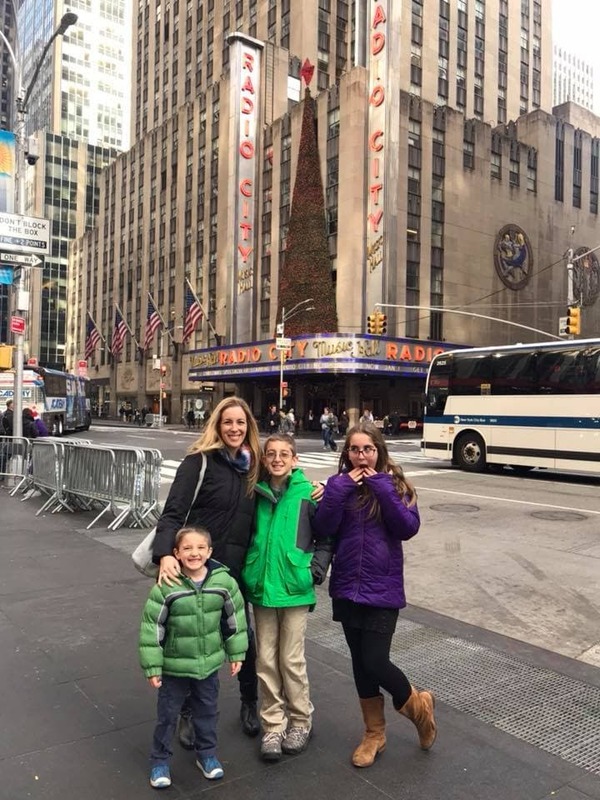 After lunch, we headed to Radio City Music Hall to watch the Rockettes do their thing. Caleb fell fast asleep and we let him be because he needed the nap. The rest of us enjoyed the show immensely. As if that wasn’t enough, once the show ended, we headed for a private tour. 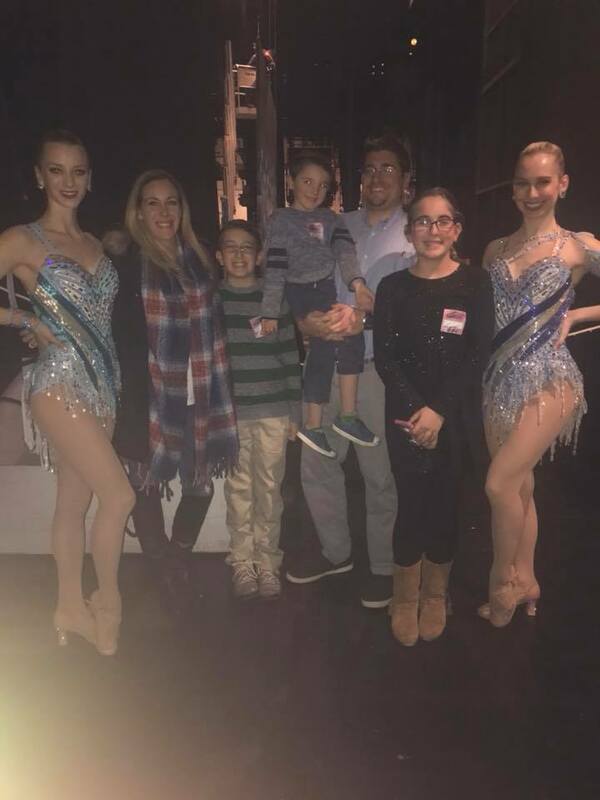 The kids got to meet some of the Rockettes backstage and in person. 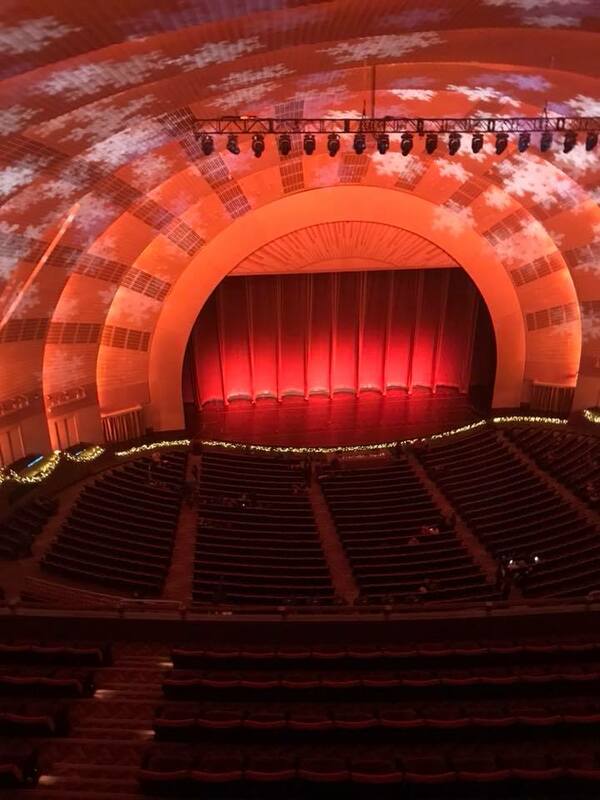 We then spent 75 minutes seeing the ins and outs of Radio City. Pretty cool! 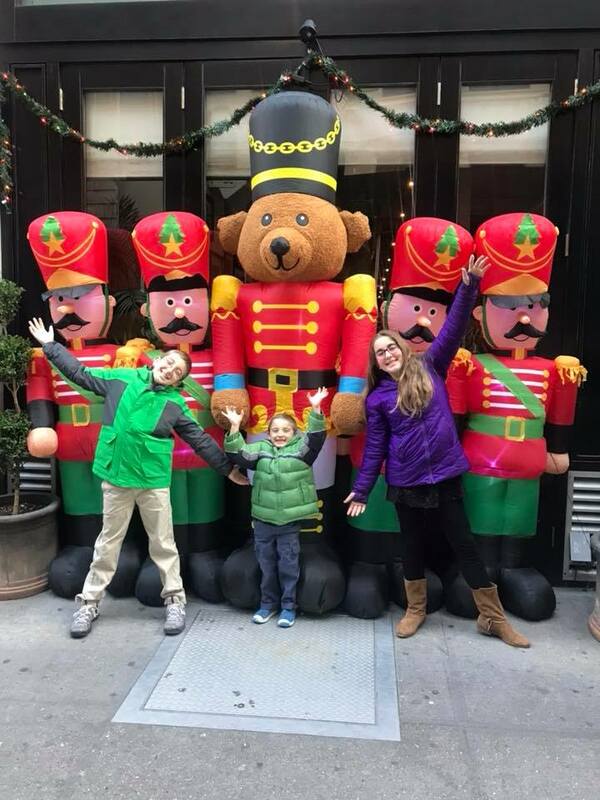 Are you planning on visiting NYC during the holidays? I hope you check out some of the ideas I listed above. We had such a great day!